Many of us struggle with the question of how to share our faith. We want to see others enter in to a relationship with God, but we are not sure how. Here, help is at hand. This website accompanies two new books which help to answer the question. Sharing faith the Jesus way is written to help ordinary Christians share faith - especially if they have never felt able to do it before. 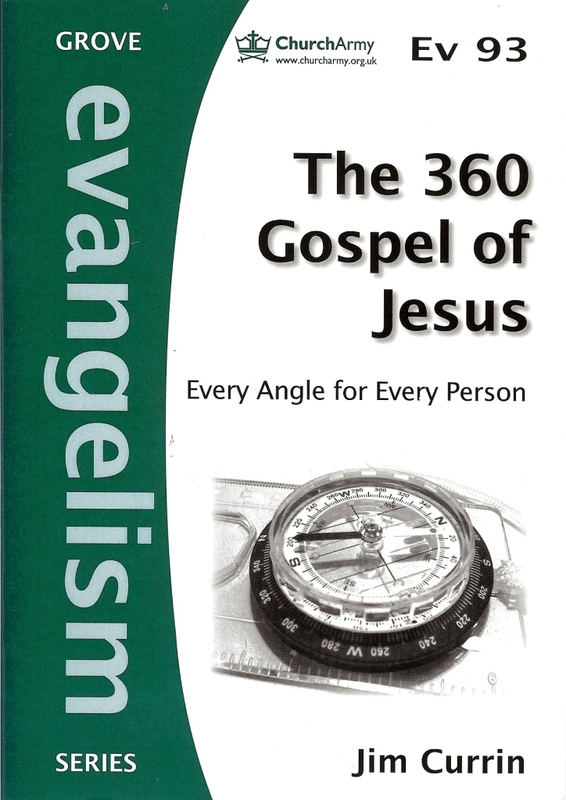 The 360 Gospel of Jesus is a background study for those who want to delve deeper in to what the message of Jesus was. On this website we shall explore this 'Gospel according to Jesus' and consider the many different people he met. We shall read the Gospels and see how they help us share our faith today. The website accompanies the books and provides additional resource material. This material is written by Jim Currin of the Church Army. Jim is currently Evangelisation, Mission and Media at Churches Together in England. Sadly, Sharing Faith the Jesus Way has sold out. There are some print copies circulating on Amazon and eBay, but as I have the copyright, you can download a PDF copy if you acknowledge the source as this website. Please only use for your own personal and church group use. Thank you. Today, Rev Jeremy Crossley has written a very positive review in the Church Times which you can read here. He says, under the title, Unlock your inner evangelist, 'encouraging, liberating, and, given its price, an absolute bargain'. A short course based on 'Sharing faith the Jesus way', has been produced. It can be used during Lent, or in preparation for mission, in a cell group or as an individual. The course is on PDF here. 'Wow! That's massive! It changes everything! Jon from Cambridge about 'repent' not being repeated by Jesus every time he met someone. are gathering here. Well done. This site accompanies two new books and provides additional resources. Paper copies sold out and only available on Amazon and eBay. Thank you to everyone who has contributed in any way to this 'Jesus 360' project.